Get a 6" pizza with 3 toppings with a side salad and a fountain drink for a great low price. Our wings are baked and crisped up in our oven and finished with your choice of BBQ, Buffalo or Hot! Salads are served with choice of dressings: Greek, Buttermilk Ranch, Blue Cheese, Italian Vinaigrette, Balsamic Vinaigrette, Oil and Vinegar, Caesar and Fat Free Red Wine Vinaigrette – All dressings are gluten free. 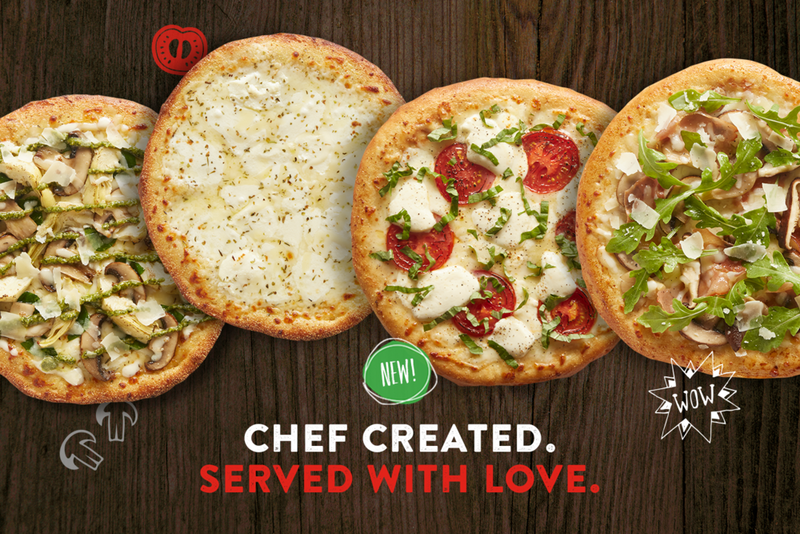 Guest's choice of 3 toppings (additional toppings are 50 cents) combined with Ricotta and Mozzarella Cheese - Salt, Pepper & Italian Seasoning. You choose the dough, sauce and toppings. 1 cheese, and any 4 veggies and choice of dressing.